Scout II Rear Spring Replacement Springs - New "Load Handler"
Do you want to improve your ride and cargo capacity without a big lift project? My Scout II had factory original springs installed at the factory in 1975. They were 4 leaf and no longer up to the job. I picked up 1000 lbs of nails at the hardware store and I was riding on the rubber stops. So, we installed these new "load handler" rear springs. 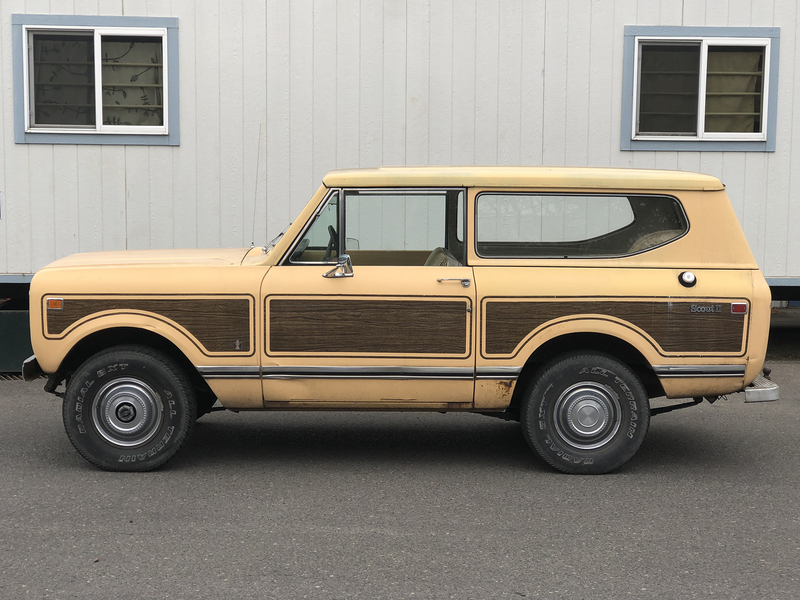 The photo shows my 1975 Scout II with the 600 pounds of nails placed in the back. (dropped off 400lbs on the way home) The new rear springs are 6 leaf and very beefy. Better for heavy loads and better for towing. Spring comes with two new bushings pressed into place and ready for you to install. If you currently have stock shocks, You will need new shocks 2" longer. You will receive two rear springs complete with 2 bushings pressed into each spring.